Back in 1978, in an article entitled “Historical reports in Australia,” I included a reference to a possible UFO sighting during the 1861 Burke and Wills expedition, around June 23rd. Within days both Burke and Wills would be dead, victims of an expedition gone wrong and paying the ultimate price in the harsh conditions of the Australian outback at Coopers Creek. 2011 was the 150th anniversary of the epic and tragic Burke and Wills expedition. 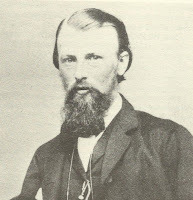 John King - witness to an 1861 "UFO vision" during the final days of the tragic Burke and Wills expedition. Source: From the La Trobe Picture Collection, State Library of Victoria, via Sarah Murgatroyd, "The Digg Tree", 2002, pg. 180. William John Wills, the expedition astronomer. Source: From William Strutt, Dixson Library, State Library of NSW, via Sarah Murgatroyd, "The Digg Tree", 2002, pg. 77. 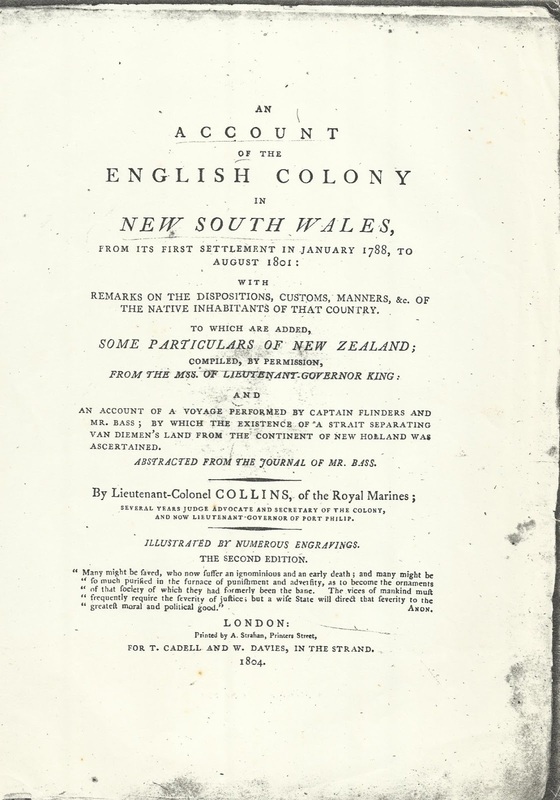 "The story of Burke and Wills could be told to illustrate many things about life. Like all great stories it had everything.... To feel the full force of that tragedy one has to stand on the banks of Cooper’s Creek at the spot where Wills died. Right to the very end Wills had believed, like Mr Micawber, that something might turn up.... The most difficult thing of all for a historian is to learn how to tell his story so that something is added to the facts, something about the mystery at the heart of things." Well, something may indeed have turned up. Astronomy software reconstructing the early morning sky for the period in question suggests that Venus was below the sunrise horizon, and the moon was in the west. So if these tentative reconstructions are correct we have a mystery on our hands. 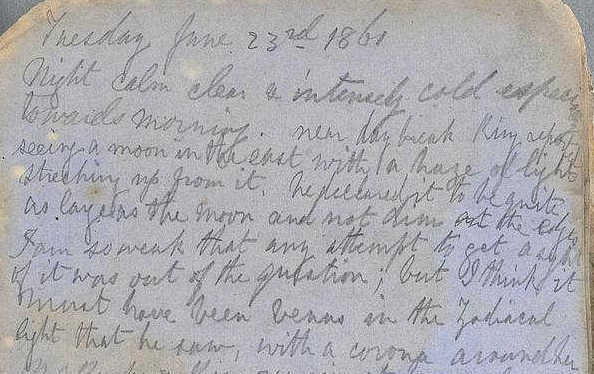 I suspect it was something prosaic that the lone expedition survivor - John King - saw that morning, more than 150 years ago. Perhaps given the dire and tragic circumstances closing in on the 3 men, precision in observations may have understandably started to lapse. Perhaps King had a hallucination due to the severe condition he was in? The excellent 150th anniversary book “Burke & Wills – The Scientific Legacy of the Victorian Exploring Expedition,” edited by E.B. Joyce & D.A. McCann, highlights William John Wills “as scientist”, as an excellent observer even to his dying days. I wonder if Wills had had the strength to look and verify King’s observations whether the mystery would have continued. What did John King see? - Hallucination, Venus, the moon, a UFO, or something else? I have been interested in historical UFO events in Australia and the near region ever since I began my interest in UFOs. My initial conclusion back in 1978 was, “Australia like many other counties has a rich crop of UFO sightings long before the modern popularisation of the mystery. The UFO phenomenon seems to be as old as man himself.” In my original account I used “UFO phenomena”to equate with the likelihood that many things come together that are collectively called the UFO phenomenon, but I prefer to have the latter linking directly to the “core” unexplained and alien phenomenon. There have been a number of other early Australian photos that show items that look like UFOs, but these do not have any related UFO story. For example the Australian magazine Ufologistreproduced one taken of Brisbane Hospital in the late 1800s, courtesy of Gordon Bagnall, in their Vol.9 No.4, 2005 issue. It shows a black disk shaped “object.” It is not clear if the people in photo are noticing anything unusual. The dark item may even be a photo defect or from some other prosaic source. The lack of any UFO related sighting narrative makes the photo interesting but not of any strong probative value. 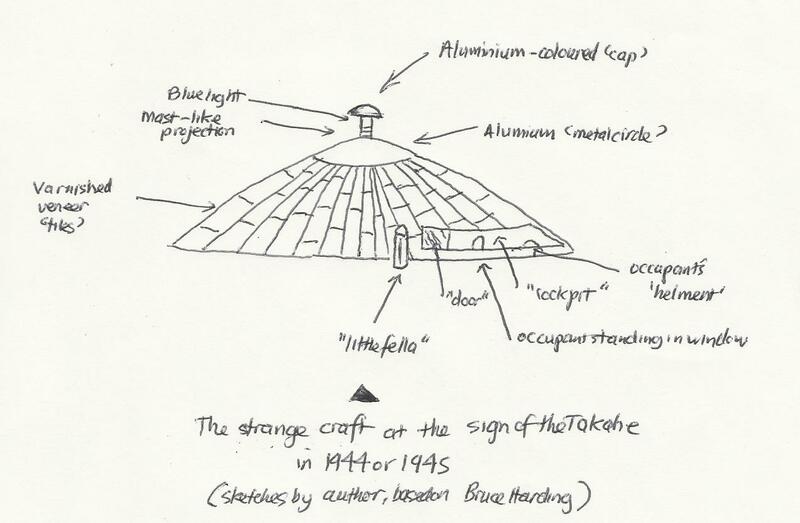 My friend Paul Cropper, who shares my passion for searching out old records for unusual Fortean type material, drew my attention during 2011 to another early “UFO” photo which has an accompanying contemporary narrative. Our decades’ long searching for this sort of material has more recently been greatly assisted by the increasing digitisation of old newspaper archives available on-line. Paul’s discovery was of an interesting 1931 Queensland newspaper report of a “strange light” which also carried a photo. Now it could be of a meteoric sourced “trail” of light or the result of the luminous trail its passage left behind. The details supplied are not sufficient to have certainty with regard to an explanation, so we will give it a tentative label of “UFO.” I will note that 4 months earlier Francis Chichester had his curious airborne encounter off the Australian coast over the Tasman Sea – “the dull grey-white shape of an airship … like an oblong pearl,” as described in his 1933 book “Seaplane Solo” (also published as “Alone Over the Tasman Sea”). Wednesday, 21 October, 1931. Located by Paul Cropper. Several Australian studies and reports have focused on the earlier historical phase of sightings, i.e. reports that preceded the beginnings of the modern era of UFO sightings which began in late June 1947 with the famous Kenneth Arnold sighting in the USA. In 1958, Jack Kunst, a reporter, and Ken Hatton, an airline navigation officer, both members of the UFO Investigation Centre (UFOIC), compiled a listing of “Australian Sightings” from 1874 to 1958. 4 pre-1947 sightings were included: 1874 Oct 11 Beechworth Victoria, 1942 Feb 26 Timor Sea, 1944 Feb Bass Strait, and 1946 Grenfell district. In 1965 Australia’s first flying saucer book appeared – “Flying Saucers over Australia” by James Holledge. It also lists the 4 historical sightings described by UFOIC’s Jack Kunst and Ken Hatton. Holledge reports “From their own research, Australian ufologists believe that the first published report of an unidentified flying object in this country occurred as far back as October, 1874, at Beechworth in Victoria.” Around 1975 I located newspaper references related this event.During October, 1874, a “celestial display” of considerable magnitude was observed over a wide area. The Sydney Morning Herald of October 8 and 9, 1874, documents the story. The event occurred on October 4 at about 6 p.m., and involved “a meteor of great size, (which) suddenly flashed in the western heavens immediately over where the sun had set, and bursting like a rocket into numerous brilliant spangles, left behind it a straight silvery line resembling a streak of lightning. This line shortly afterwards, seemed to assume a sinuous or spiral shape, the folds of which gradually contracted or became as it were compressed till they presented somewhat of a zig-zag appearance, the angles being particularly bright and silvery.” The phenomenon lasted for about 20 minutes over Victoria. One witness suggested it might be “Venus transmitting a telegram to the sun (about) her approaching transit. Whatever it was certainly a most beautiful as well as a most extraordinary occurrence.” The event was probably of a celestial nature – a striking meteor with a pronounced and enduring tail, seen over a widespread area, such as Beechworth, Victoria, and Goulburn, Gosford and Wagga in NSW. 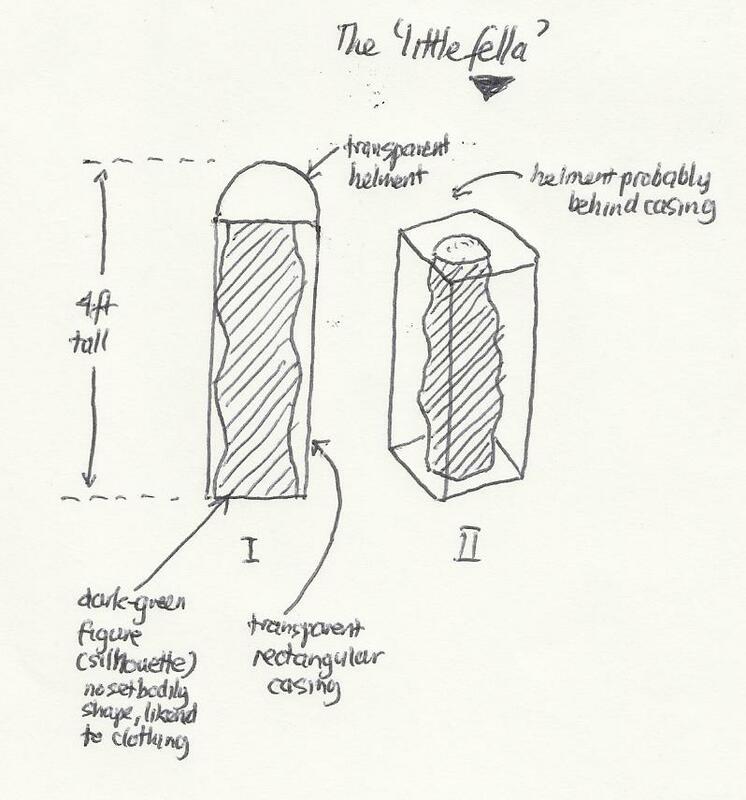 In 1969 Michael Hervey mentions a few further historical cases in his book “UFOs over the Southern Hemisphere.” Hervey made an undated reference the 1879 “remarkable meteor” at Freemantle, W.A. While writing the book Hervey made some public requests for reports. 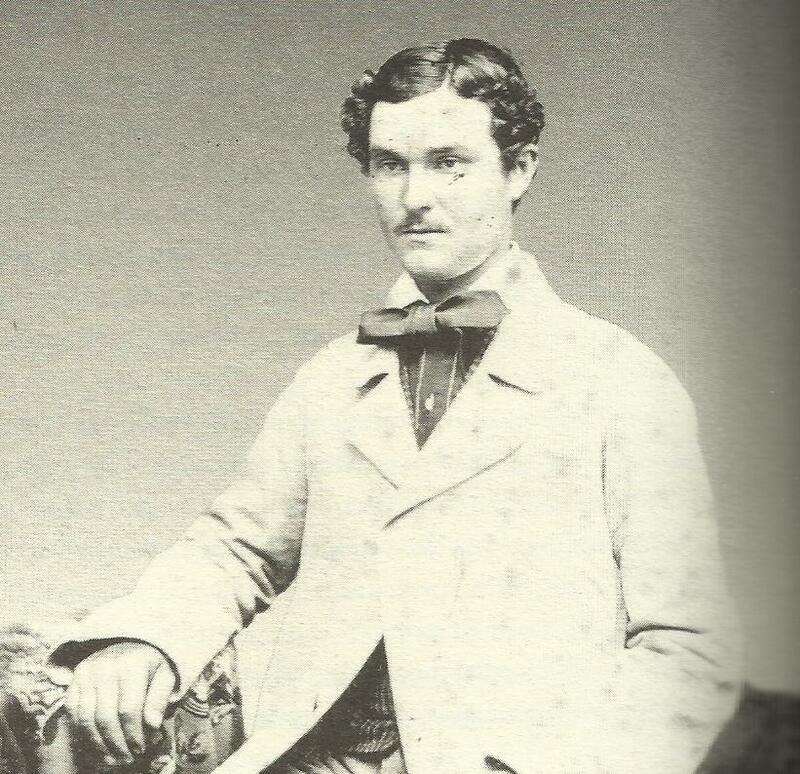 Amongst the numerous letters he received were a number of historical cases, which were listed as “First Hand Reports”. These included 1931 - Baradine, NSW; during the war years – Sale, Victoria; 1936 – Willow Bark, Queensland; and 1934 Ashley Clinton, New Zealand. “Items from the Australian flap, 1909-1910” by Paul Norman, FSR (Flying Saucer Review), Vol.22, No.6, 1976. This was a one page piece which referred to the 1910 account of the crew of the “Wookata” near Althorp Island near Cape Spencer, South Australia. The account recovered from an old newspaper lacked the date, but it was widely reported in Australian newspapers on or about August 3 or 4, 1910. Norman also included a brief mention of some of the well known New Zealand 1909 “airship” reports, but with no reference to the 1909 Australian reports. 1932 0r 1933 – near Nambour, Qld; mid 1930s – central Qld; 1935 – Nobby’s Head, NSW “UFO photo”; 1944 – Bass Strait; and 2 events from 1947 – Greta Army camp, near Maitland, NSW, and near Newry, Victoria. Those 19 references spanning the1830s to 1947 started a major quest by me to locate further reports. My “Historical reports in Australia” article was reprinted a number of times including in the ACUFOS (Australian Centre for UFO Studies) Journal, Vol.2. No. 1 to 4, 1981, and in “UFOs over Australia” edited by Mark Moravec & John Prytz (1985). In 1981 I circulated a “Preliminary listing of Australian Historical UFO Events - Prehistory to 1949” to try to ignite interest in historical UFO cases. This sighting material was largely put together from diverse sources by Paul Cropper and me. I choose the end year of 1949 because it seemed based on research at the time that 1950 marked the significant beginnings of the Australian UFO experience. I listed the year, location and a few words about over 110 events, plus 56 New Zealand “airship” events from 1909, as well a few more Fortean or apparitional phenomena. 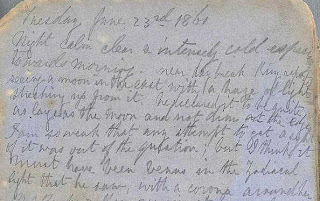 1770 - near Timor possible “Aurora” during Cook’s voyage; circa 1830s – the Oven River area “ghost light”; 1861 – Burke & Wills, 2 events from 1862; 1866 – “atmospherical phenomena”; 1868 – Birmingham’s Parramatta “UFO vision”; 1868 – sailor killed by “meteor” off Queensland; 4 further “singular phenomena” in 1868; 1869 – 4 separate “supernatural” events, the most extraordinary being a white object turning into an 8 foot spectre near Young, NSW; 1870 – 5 separate events, 3 being of strange “meteors”, the others ghost type events; 1871 – 3 events; 1872 – “ghost”; 1873 – Birmingham’s “daylight disc” over Parramatta’; 1874 – 5 separate events, including the Beechworth “meteor”; 1875 – 3 events; 1876 – 3 events; 1877 – 2 events; 1878 – 3 events; 1879 – the Freemantle event; 1881 – the “ghost ship” sighted by crew of the “Bacchante”; 1881 – the great “comet” debate; 1883 – a light near sun with beam seen from Perth, and one in New Zealand; 1885 – fireball falls into the Pacific; 1890 – a strange “cloud” over Raymond Terrace; 1890s – “ghost lights” at Orrorro and Moonta, SA; 1893 – central NSW “paralysis” case; 1896 - “airship” over Bass Strait. With the 20th century: 1902 – the “fireball epidemic; 1902 “daylight disc” at Adelaide, SA; 1904 – flying “cigar” at Nildottie, SA; 1908 – mystery lights in New Zealand Southland; 56 reports from the 1909 airship wave in New Zealand and 18 for Australia. 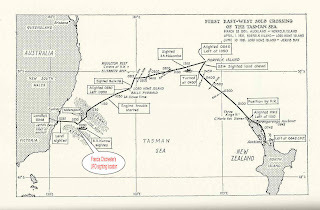 A further 2 events from New Zealand in 1909 occurred after the main wave. 1909 – Rockhampton, Qld; 1910 – 2 reports; 1911 – 4 reports; the 1912 nexus of the Boulia Min Min light reports; 1914 – mystery plane over Savernake, NSW; during World war I – a “close encounter” at Rushworth Victoria; 1919 – an “entity” case in rural NSW, and a “landing” at Greendale, New Zealand; 1920 – “flare” reports possibly linked mystery disappearances in Bass Strait; 1921 – the apparent debut of the Qld Blairmore Station “ghost light”; 1924 – strange light over Melbourne; circa 1924 – Moora WA “landing” with physical trace; during the 1920s & 1930s – “ball lightning” events at Rooty Hill, in Sydney; 1928 – “auditory phenomena” on the Dorrigo plateau – a curious possible forerunner of the Tyringham area “phantom truck” noises that played out during an intense UFO flap in 1973; circa 1928-1929 – a recurring “fireball” at Coffs Harbour, NSW; between 1923 – 1929 – a recurring nocturnal light at Tinonee, near Taree, NSW; circa 1930 – a “zeppelin” over Port Moresby, PNG; 1931 – the Chichester UFO sighting over the Tasman Sea; 1931 – flying “disc” at Berrigal Creek; 1932 – the Guilford “dirigible” and “meteoric hole”; late 1920s – 1930s, UFO sightings at Dalma Road Qld; during the same period further “ghost light” traditions are established – the “Yatton”, the “Quinn”, the “Malchi” and “One Tree Plain” lights; circa 1932 – 1933 – the Nambour Qld “mini-UFO” encounter; 1934 – “daylight disk” in NZ; 1933-1935 – “black planes” and “mysterious balloons” over the Pacific Islands; 1933 – “brilliant fiery mass” in SA; 1935 – Nobby’s Head “UFO photo”; 1936 – the first of mystery light sightings at Crows Peak, Oberon Dam, NSW; 1936 – Willow Bark encounter and “aerial observation” at Scots Head; 1936 – aerial phenomena over Melbourne, and Manilla, NSW; early World War 2 – “daylight discs” at Sale and Korrumburra; 1942 – Colin Norris’ “nocturnal light” at Geraldton, WA; 1942 – the Timor Sea RNN Tromp ship encounter; 1942 – alleged UFO tale off Tasman Pennisula; circa 1944 – Beaufort encounter over Bass Strait; 1944 or 1945 – Christchurch NZ entity UFO encounter, and 1946 – Grenfell UFO sighting. In 1947 – UFO sightings near Newry in Victoria, Vaucluse in Sydney, and Bondi, Sydney. In 1948 – Scone, NSW, Berridale, Tasmania, off Cairns from Army ship Tarra, and Semaphore Beach. In 1949 - a close encounter off North Palm Island and a nocturnal light display over the Melbourne suburbs. “A UFO Vision? The mystery of ‘A machine to go through the air’, 1873, Parramatta, NSW, Australia”, by Bill Chalker, UFORAN, Vol.3, No.1, Jan./Feb.1982. I also wrote a separate article on the 1868 affair for Fortean Times, “Encounter in the Outback”, September, 2002. “The Terror Down Under”, by Bill Chalker, Fate, September, 1988 (re 1927 Fernvale, NSW, UFO milieu). A much more detailed account was to appear in the Fortean Times special issue devoted to the Mothman, but for whatever reason (possibly length) it did not appear despite being listed in 2 issues as coming in the next issue. Further details passed onto me by Cecil McGann (the primary witness of the 1927 events) before he passed away, were incorporated into an extended document. 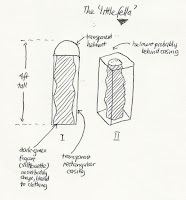 “An Old Australian Phenomenon” by John Auchettl, appeared in the VUFORS publication “The Australian Annual Flying Saucer Review” (undated but apparently 1983) and was reproduced inRobert Frola's The Jarrold Listings (1990). It listed 18 events: early1800s – no location; 1868 – Parramatta, NSW – the Birmingham “UFO vision” I had documented; 1873 – S.A; 1874 – Beechworth; 1885 – 2 events in the Pacific; 1893 – central NSW “paralysis” event; 1909 – 4 events from New Zealand “airship” wave; 1909 (should be 1910) Minderoo Station event; 1910 – the Wookata sighting off SA; 1911 – Ballarat “airship”; 1919 – central NSW (with erroneous reference); 1920 – Sydney; 1920 – “rockets” in Tasmania and 1925 – Moora, WA. 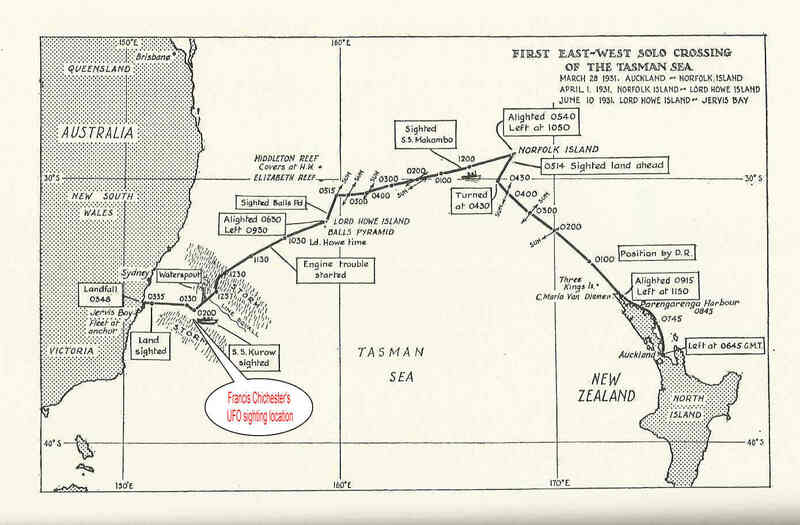 “UFOs in Australia and New Zealand through 1959”, by Bill Chalker, pages 333 -356 in Jerome Clark's “The UFO Encyclopedia”, Volume 2, “The Emergence of a Phenomenon”, Omnigraphics/Apogee, February, 1992. “Australian 1947 UFO cases” by Bill Chalker, in “Project 1947” by Jan Aldrich, 1997. 1868 – the Birmingham “UFO vision”; 1873 – Birmingham’s “daylight disc”; 1878 – Goulburn “ghost light”; 1879 – Freemantle, WA; 1890s – Orrorro & Moonta SA “ghost lights”; 1893 – central NSW “paralysis” event; 1902 – Adelaide observatory “daylight disc” sighting; 1902 – “fireball” epidemic; the 1909 “airship” in New Zealand; 1909 – Australian reports; 1909 (should be 1910) Minderoo Station event; 1927 – Fernvale NSW events; 1931 – Chichester sighting; 1933 – abduction of aboriginal woman at Discovery Wells, WA (courtesy of Rex Gilroy); 1930s – WA aboriginal “entity” encounter; 1935 – Nobby’s Head “UFO” photo, and 1944 – Bass Strait; 1944 or 1945 – Christchurch NZ “entities”. Even Keith Basterfield’s prolific and helpful cataloguing activities caught up with historical cases with his 2011 document “A catalogue of pre 24 June 1947 Australian Unidentified Aerial Phenomena” listing 38 events. The increasing availability of on-line digital newspaper archives and related web sites has created a marked increase in the number of researchers taking an interest in uncovering accounts of possible historical UFO events. The excellent Magonia Exchange List has been a striking manifestation of this, but its focus on encouraging somewhat ad hoc almost daily declarations of 0n-line “discoveries” has been difficult for me to regularly participate in. Instead I sent them some of my document collations, and occasional “discoveries” when time and resources permitted. The irony is that many of the online discoveries made more recently have already been found through “old-fashioned” direct methods years ago. Never-the-less the increasing coverage of on-line digital newspaper archives is a definite asset to historical UFO researchers. For me the 1868 Birmingham “UFO vision” and the 1927 Fernvale affair were the 2 standout historical Australian reports. They allowed very detailed research and investigations. Of course many of the historical reports may be about natural or prosaic phenomena (these have a value all of their own), but many provocatively suggest indications of a much earlier UFO history than the watershed year of 1947.